"The defector" is a documentary film by Korean-Canadian director Ann Shin that follows a group of persons who escape from North Korea in their search for freedom. It is like a thriller as it follows a journey across different Asian countries. The film also makes you reflect on ideas and words like sovereignty, defection, illegal emigrants and human traffickers, usually heard on TV news and perceived as abstract concepts. "The defector" will be part of Mondovisioni, the International Documentary Film Festival that will be held at Kinodromo cinema in Bologna between January to April 2014. Every year hundreds of thousands of persons leave their countries for dangerous journeys in search of a better life. Many of them lose their lives during these journeys. Some of them are caught during transit in other countries and exploited or imprisoned. Some other are caught in their destination country and sent back. Finally some of them, manage to escape in their destination countries and hide as "clandestines", hoping for some way of legalizing their presence sooner or later. The clandestines and those who somehow manage to get a legal status in their new homelands, inspire hundreds of other hopefuls from their villages and cities to follow their paths. There are opportunities for making money from these journeys - at every step of the journey, through each of transit countries and finally in the destination country, some monetary transaction occurs. The persons who organize and help the journeys are called agents or guides by the emigrants and "human traffickers" by the destination countries. They may be linked to organised crime networks. They are known to be ruthless, exploitative and brutal. At the same time, they need to ensure that at least some emigrants reach the destination, otherwise the word of their non-reliability spreads and they lose business. The emigrants, usually from lower strata, who do not have the qualifications or the resources to become legal emigrants or student-emigrants, need significant amounts of money for these journeys. Despotic regimes, wars and conflicts also force large numbers of persons to leave their homes and thus increase the pressure on illegal emigration. "The Defector" follows one such journey. 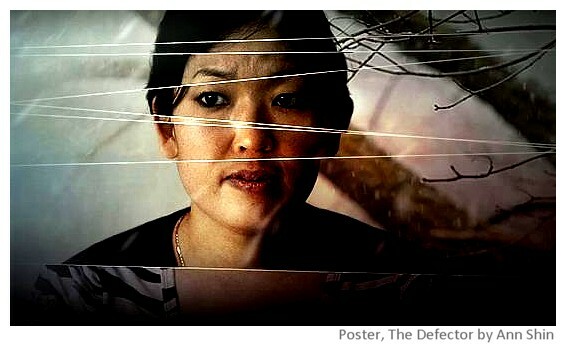 "The defector" follows a small group of persons from North Korea during their journey in China. From north of China, they travel to Xian, accompanied by their guide Mr. Dragon. Then they travel from Xian to Kunming. Finally, they are taken over by another guide who takes them through parts of Laos to northern Thailand, where they can come out as refugees. After spending a few months in Thailand, they enter South Korea, their destination country. The film focuses on the stories of three persons - the guide, Mr. Dragon and two North Korean women - Sook Ja and Yong Hee. Mr. Dragon, with a past in North Korean army, had crossed into China more than 10 years ago and is guide/trafficker for other North Koreans. Sook Ja wants to escape from the repressive regime in North Korea and to find her sister, who had escaped seven years earlier and then disappeared. Yong Hee, sold as an illegal bride to a Chinese farmer more than 10 years earlier, wants to escape from the illegal life. A small part of the film is about Mr. Heo, a north Korean refugee in Canada and his efforts to help other north Korean refugees. The film has been shot with hidden cameras and you never see the full faces of any persons escaping from North Korea. Most of the film is about the journey in China - from the north to Kunming. It shares some details about how to escape the control systems in China, but most such information that can be used to trace specific persons or the escape routes is not there. As spectators you are quickly drawn into the stories of the three main protagonists of the film and you can feel their fear and tension, wondering if they are going to make or will get caught and sent back to face prisons and torture in North Korea? The film has some scenes from north Korea about the general poverty but the stories of the three protagonists are not so much about poverty as they are about repression in the country and their search for better life opportunities. I wondered if Sook-ja’s older sister had been trafficked. Dragon told Kyung-shil and the others that he would come back for them on his next trip. For now, he, Sook-ja and my camera crew had a long journey ahead of us where we would travel and film covertly. We journeyed day and night on buses and trains, jumping off at certain times to avoid inspectors. Dragon knew the schedules like clockwork and we all grew to trust him implicitly. Making documentaries is a leap of faith; That faith is built on the trust a filmmaker establishes with his or her subjects. It’s remarkable how quickly trust builds when lives are at stake. The most heart-wrenching part of the journey was when the defectors were only miles away from freedom. Trekking through the Laotian jungle, having evaded police patrols and crossed two mountains, Sook-ja suddenly broke down in tears. The realization had just struck her: she was utterly alone. She could see now that her elderly mother would never be able to make this physically demanding journey. The whole purpose of her trek was to reunite her family, but she hadn’t found her sister, and she would never see her mother again. The journeys of the emigrants are all about loss and alienation - dreaming of better futures and losing families and friends, fearing for families and friends, and living clandestine lives in alien lands where they are just a commodity for sale and exploitation. The nightmares do not end even when they reach the lands of their dreams - in South Korea, they need to go through a process to ensure that they are not north Korean spies. The fear for their family and friends left in north Korea never ends and making a new life is tough, because prejudices run deep. Personally I found Dragon to be the most interesting character in the film - for the law in China and Laos, he is a "human trafficker" - exploiting the escapees for earning money, but he sees himself as a human rights fighter, helping his country-persons to find a new life and risking his own life. "I am brutal" he agrees, "but it is the only way to save their lives and my life." In the new globalized world, the rich are welcome every where, money and goods can move freely across borders but not other human beings. Thus people from the south, try to cross the Mexican-USA border, while immigrants to West Europe face dangerous journeys across eastern Europe and Mediterranean sea. Each of them follows a dream but most of those who survive, live lives of exploitation and discrimination, holding on desperately to life, willing to settle for a precarious security, hoping for better lives for their children. 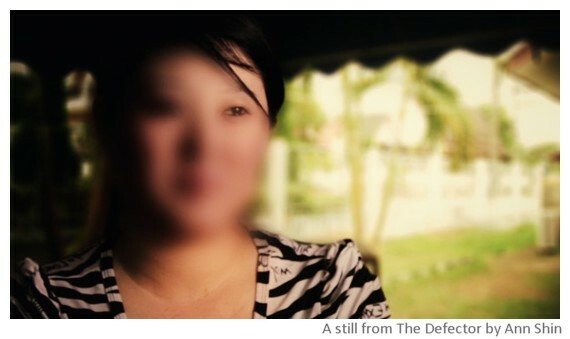 "The defectors" gives you a glimpse into their lives.